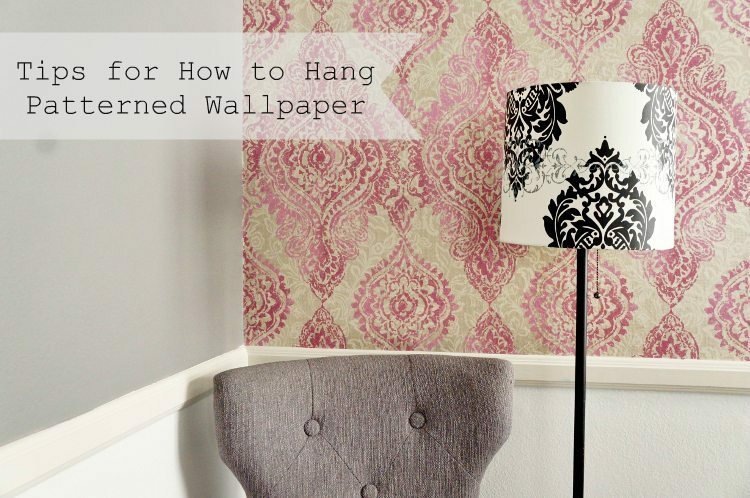 This article, How to Hang Wallpaper with a Pattern, is sponsored by Bellacor. All opinions are 100% my own. I have to admit, I was a little intimidated with the idea of hanging wallpaper. However, I quickly got over it after seeing the many beautiful patterns available that simply put; you can’t do with paint or even stencils. I stared at my beautiful roll of Luscious Lipstick Pink and Champagne Boho Chic Wallpaper and fell in love. I quickly learned that hanging this prepasted York wallpaper was actually much easier and less time consuming than painting! Here is the BEFORE shot of my guestroom wall. I know, I need to replace that fan! I recruited my best friend and we got to work, which leads me to my first tip. Tip #1: Hire a buddy and buy him or her lunch afterwards. 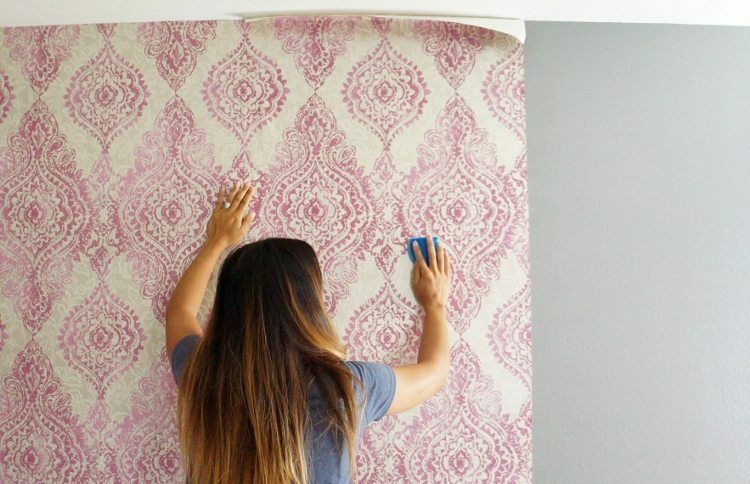 Sheets of wallpaper can be heavy, especially when aligning a pattern. Another set of hands is helpful to help keep it straight. 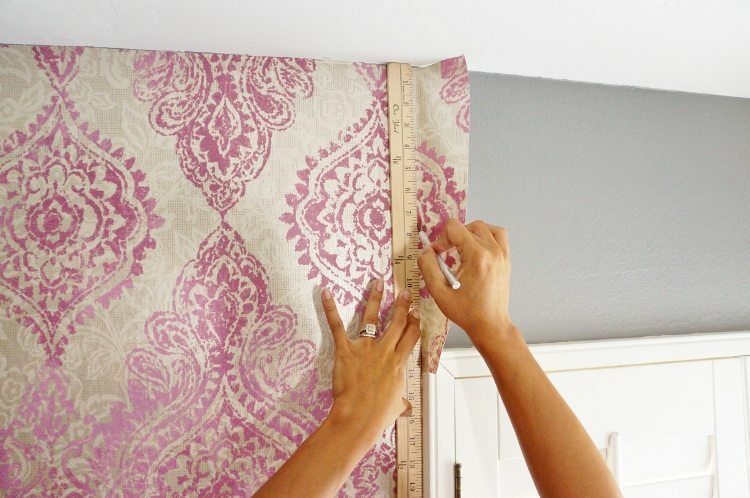 The first thing we did was measure the wall and cut the first two panels of wallpaper. Make sure you work in a large area to lay out each panel. 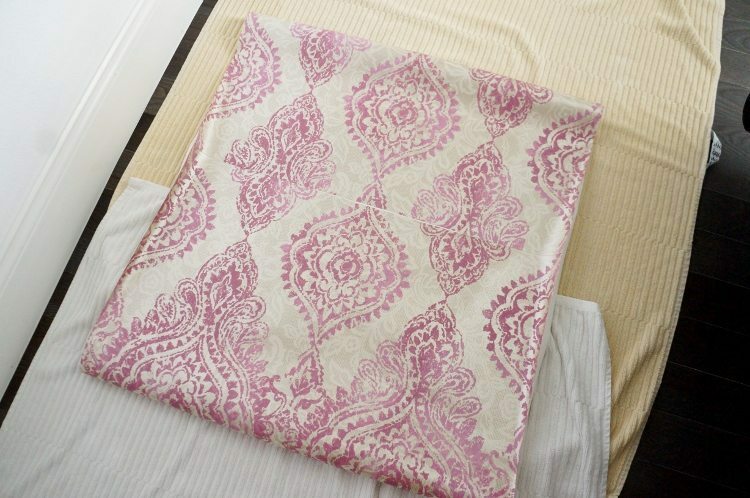 Tip #2: When working with a pattern, make sure to work ahead and cut the next panel to assure correct alignment. The prepasted wallpaper we used is activated by simply misting it with water. We protected my floors with old towels, and misted the back of the panel with a wallpaper sprayer. Tip #3: When misting the panel, be sure to focus on the edges to ensure they do not lift once it is on the wall. 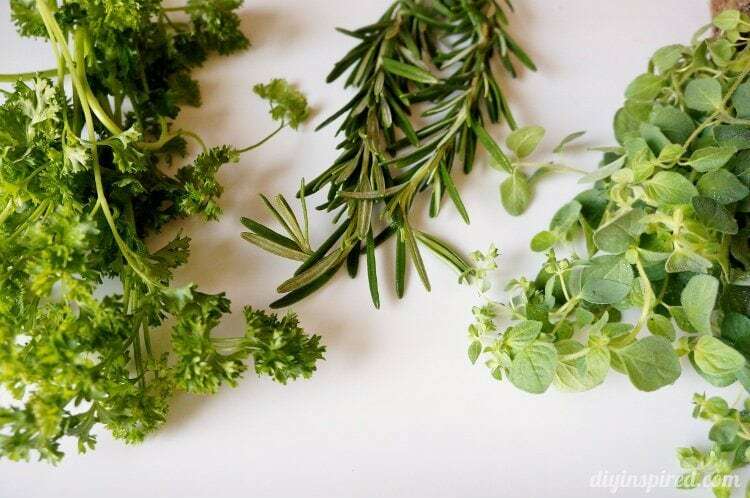 After misting, fold the edges so that they meet in the middle. This will help activate the stickiness. Wait 2-3 minutes. Hanging the first piece was the easiest because we simply aligned it with the corner, for the perfect straight edge. Tip #4: Use a sponge to smooth out any bumps. 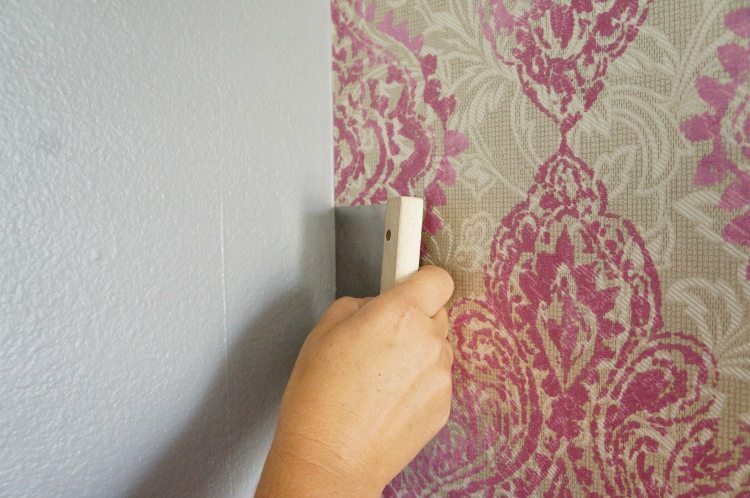 You can also move your hand across the wall and lightly sand any bumps before applying your panel. 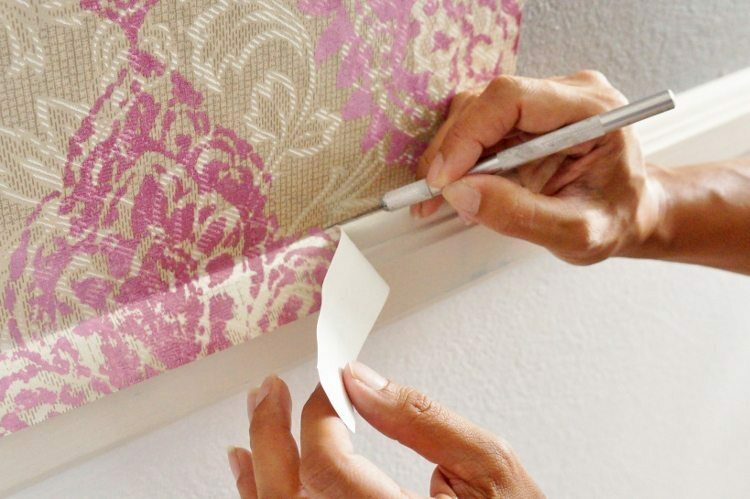 A straight edge will also smooth and bumps, however be careful not to rip the wallpaper. Apply your next panel by aligning the pattern to your prior panel. Tip #5: It is OK to have excess wall paper near the floor and ceiling or around windows because you can use an Exacto knife to trim the edges. Make adjustments around windows and trim. 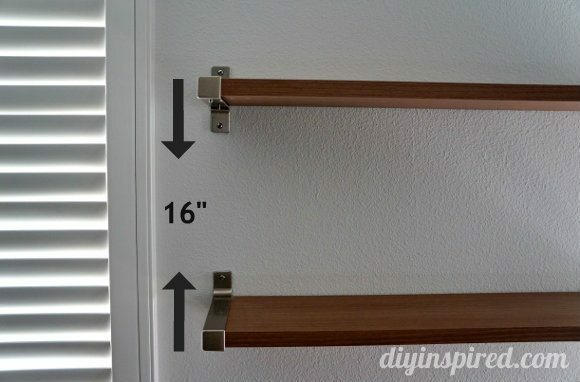 Tip #6: A yardstick comes in handy to get a straight line when you need to work around windows. 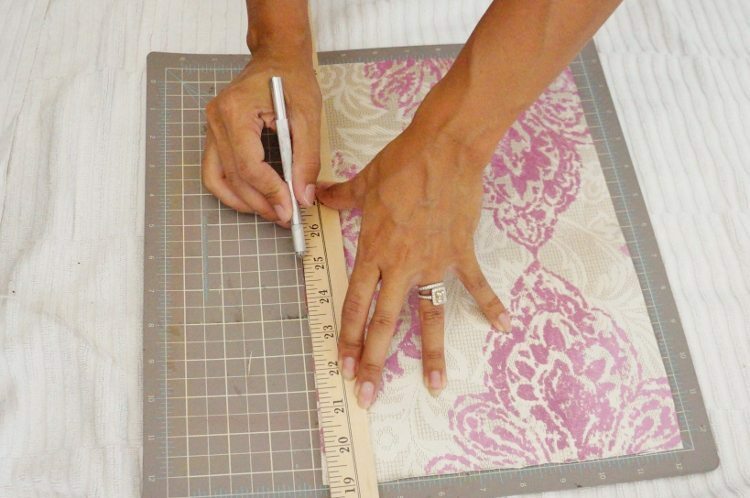 Tip #7: Use a cutting mat and straight edge for smaller pieces of wallpaper to ensure pattern matching and precise measurements. 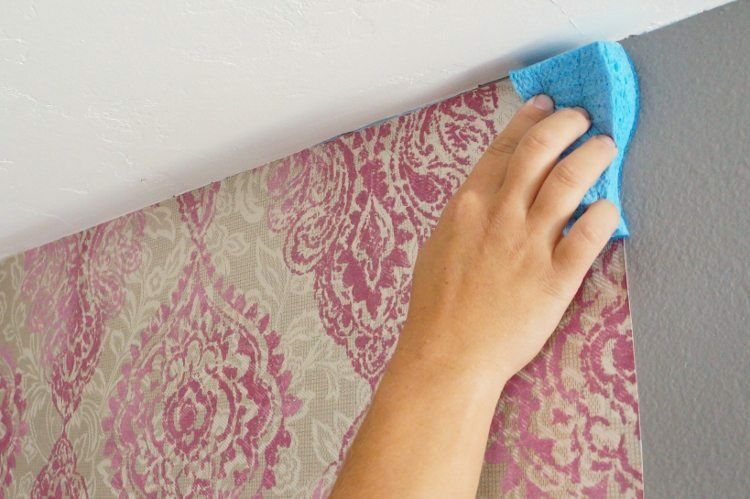 Although there is a lot to remember, once you get the hang of it, hanging wallpaper with water is much easier than painting! 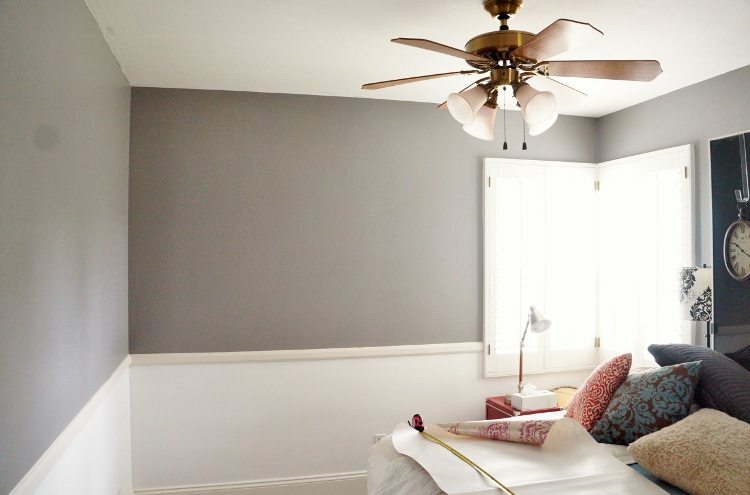 In honor of their special anniversary event, Bellacor is giving away a $150 merchandise credit to any York products on Bellacor.com so that you can give this easy but elegant DIY a try! Don’t forget to check out the Bellacor Anniversary Event! I love the headboards they have! Especially this one http://www.bellacor.com/productdetail/home-styles-furniture-5530-601-naples-white-52-inch-king-headboard-1478973.htm I also love their lighted wall mirror. The Welcome Home Dove Grey, Oyster and Taupe Wide wallpaper is amazing! Ooooh! I’ll have to check those out! 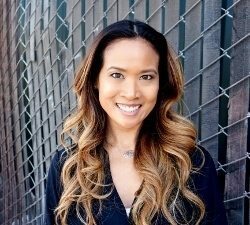 Thanks, Nicole! I always thought wallpapering was hard. 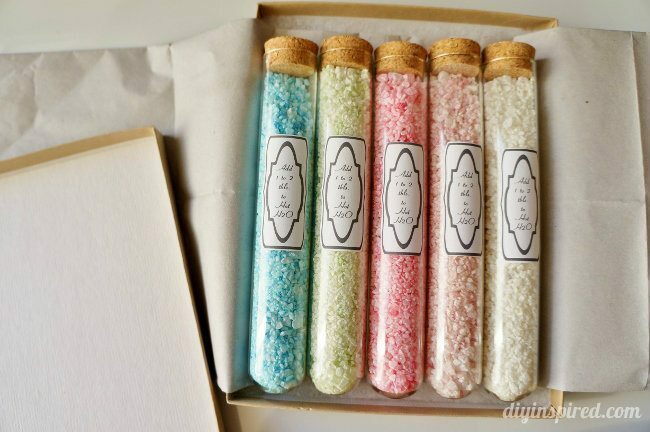 Now I want to try it!!!!! 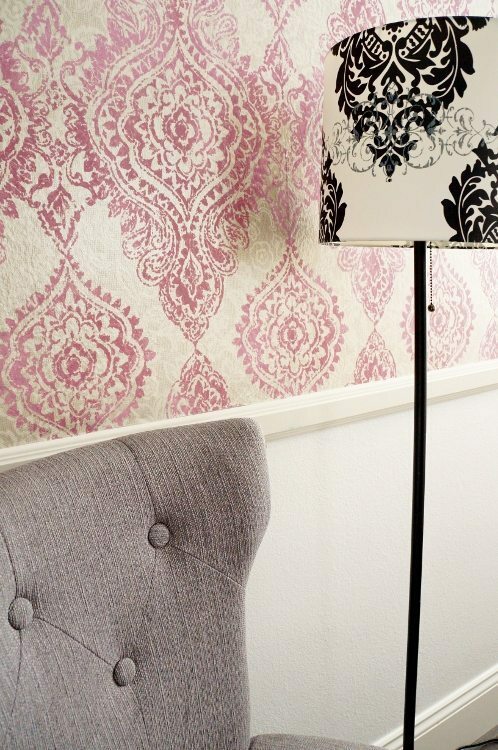 I used to think wallpaper was awful, but in the last few years I’ve definitely warmed to it. There are a couple walls in my house where I really want to put some up, but I haven’t yet because the application has really seemed intimidating but this was a beautiful tutorial and I’m feeling like it is something I can do now… and yeah, winning some beautiful paper definitely wouldn’t hurt either! I totally agree with you, Mandy! 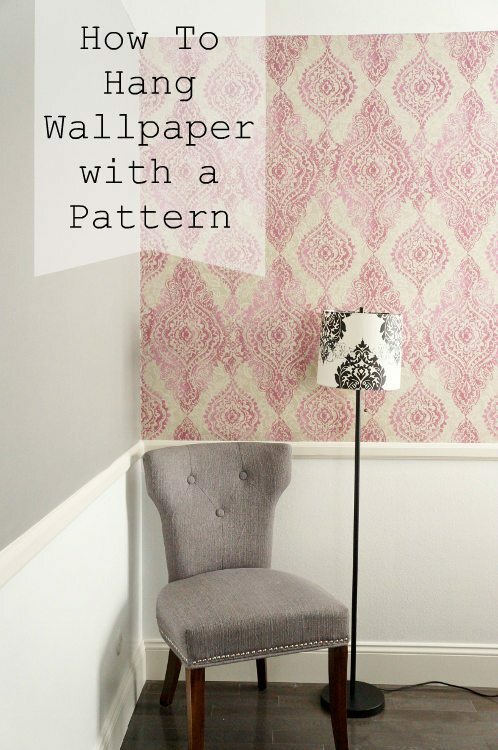 I think wallpaper has made a huge come back the last few years. Good luck! I’m transitioning part of my son’s closet into a reading nook. The Europa II Newsprint Accessory wallpaper would be PERFECT for that! I honestly can’t say I have a favorite with so many wonderful items to choose from. I did see a beautiful light fixture that caught my eye. It’s called Artcraft El Dorado Java Brown Nine-Light 24-Inch Wide Crystal Chandelier. Stunning!! Golden Lighting Joia Peruvian Silver Eight Light Chandelier – ommmggg! i need a house now! I really like the Twin Swan Centerpiece Bowl. I have to say this wallpaper is gorgeous! 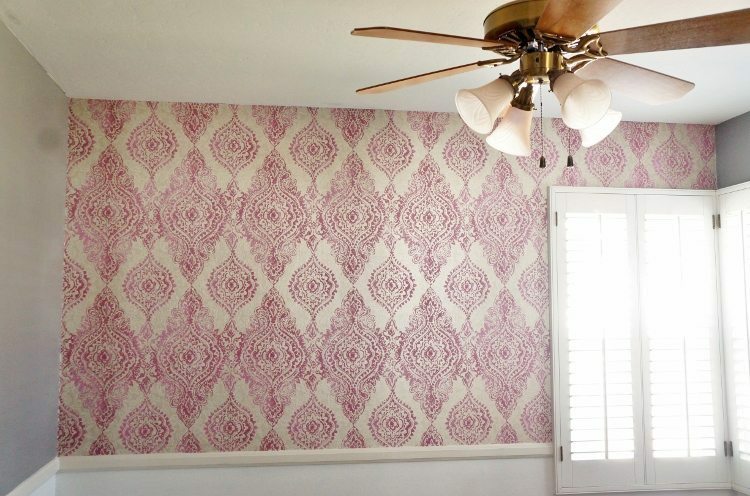 I think I’m going to put some wallpaper up in my bedroom instead of painting the entire room. Now I’m excited to redo my bedroom, yay! Also I just have to wait until I win the lotto to get the Kalco Lighting Hamilton Tuscan Sun Eight-Light Pot Rack, haha, it would glam up my kitchen nicely. I am swooning over the Oak Hill Baker Rack!! Thank you for the chance. I like the espresso leather Parsons dining room chairs. 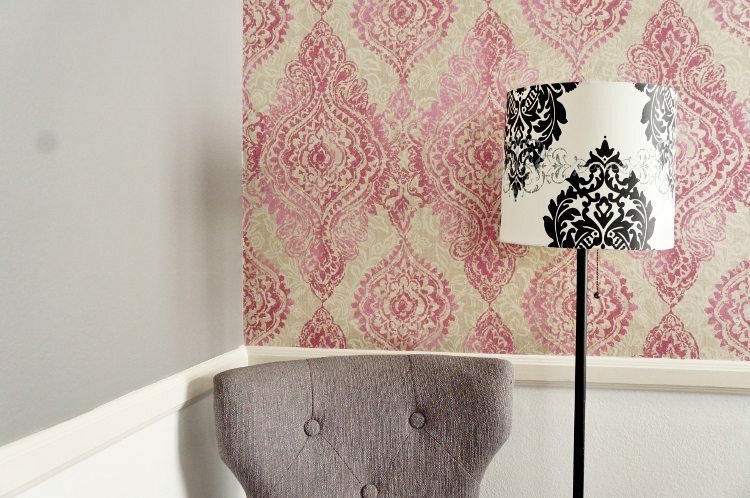 I love this wallpaper – Candice Olson Inspired Elements Diva Wallpaper. I love the Espresso Storage Baskets, Set of Three. I love the Candice Olson Inspired Elements Diva Wallpaper, it’s neutral enough that it could go in almost any room! My husband and I were just talking about wall papering our house. I thought it would be so much more difficult than the website made it look. Great news! Thanks for the opportunity to win! My favorite product is the York Silver 15.7-Inch Coffee Table. 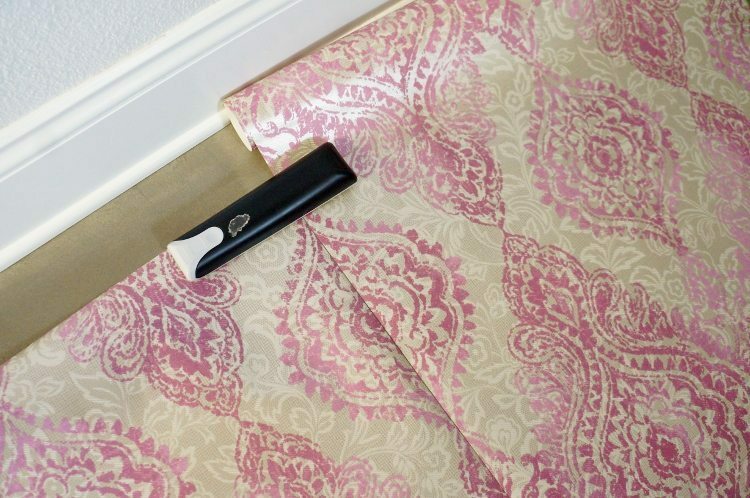 Damask wallpaper for the powder room! I like the Kalalou Antique Reclaimed Wooden Decorative Whale Wall Hanging. I like the Walt Disney Mickey Mouse sketch paper. I like the York Wallcoverings Inspired by Color Teal, Bronze Metallic and Powder Green Wallpaper. I like the Liquid Copper Glass Vessel Sink and Bronze Faucet. I really like the Sutton 26-Inch Swivel Bar Stool. Candice Olson Inspired Elements Diva Wallpaper. I like the peacock silk curtain panels! I absolutely love the Roommates Decor Xl Wall Murals Multicolor Marvel Classics Comic Panel Mural 6-ft x 10.5-ft – Ultra-Strippable. I like the Cooper Classics Herschel Aged Multicolored Clock. I love the Minka Aire Light Wave 52-Inch LED Ceiling Fan in Distressed Koa Finish. It is so beautiful and so unique. i love the sunburst mirror! So, obviously I wish I had happened upon your site about a month and a half ago (after all I’ve been agonizing over which pattern to use for my accent wall for at least that long). More importantly or more relevant would be the actual color of Luscious Lipstick Pink? I just want to be sure that my computer settings aren’t fooling me, it seems to be a raspberry color? Neither bright nor greyed down? Any references you can give as to the actual color would help me with my decision since I’ve narrowed my options to 3-4 roughly the same cost. Thank you so much!! 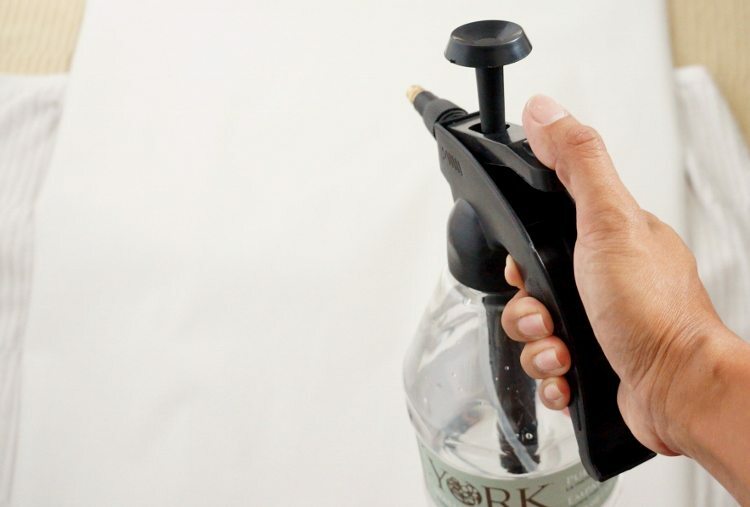 Is it possible to use a regular spray bottle for wetting the paper? Hi Shannon! I believe you can, but you want to make sure it is spread evenly. A mister makes the job so much easier and faster. I have also heard of using a wet roller brush to roll it on, but I haven’t tried it. I hope this helps!